It's very easy to get lost in the minutia of monetary policy and have a semantic, or worst - academic debate on how it affects the economy. Anyone that talks with great confidence (ourselves included) should be reminded its ending has yet to be written and most didn't foresee the cadence of the muddle through or the nature of the undercurrents and rips witnessed in the financial markets. 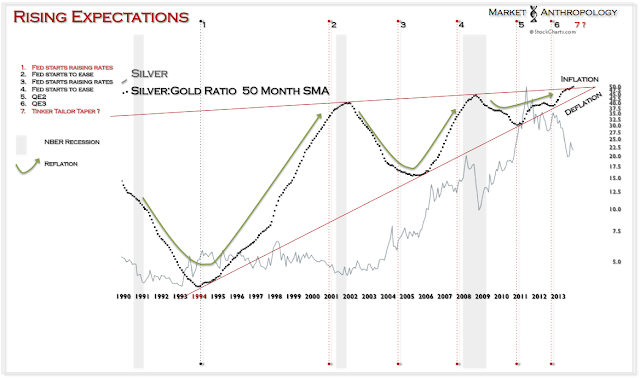 As the Fed approaches shutting off the monetary spigot, a few quick points and opinions on the historic reservoir that has been filled, our expectations with inflation going forward - and why a position in precious metals still makes sense to us today. We know that through the Feds monetary policies there has been an unprecedented increase in the quantity of reserves held by banks. We know despite these actions it has not been inflationary in our economy to-date, simply because the banks have held on to these reserves and not lent them out. We know the Fed has different tools, such as paying interest on reserves to mitigate inflationary pressures, once this cyclical credit cycle gains steam. 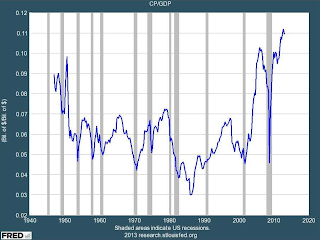 We know that since the financial crisis corporations have greatly taken advantage of the historic low interest rate environment and have refinanced debt and built record cash positions - all the while enjoying productivity and corporate profits at or near record highs. At this point, we don't believe the economy is in a structural trap and expect inflation to begin seeping through the economy as corporations begin to deploy their historic capital builds. 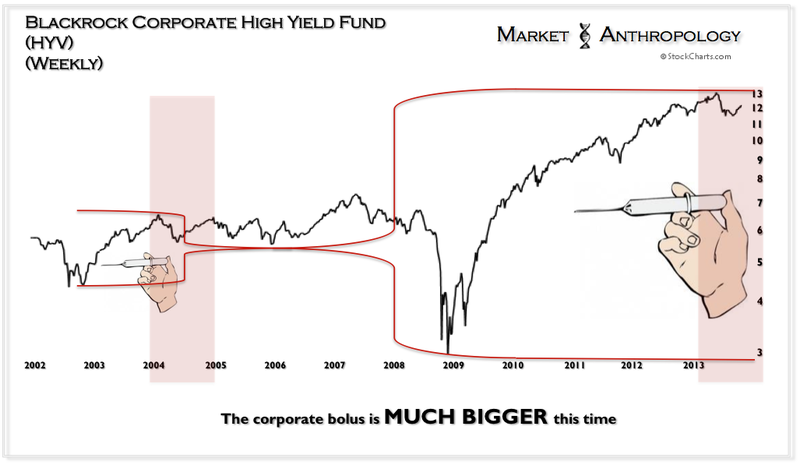 While compelling as the trap narrative may be in certain light, we feel the idea has mostly gained credibility because of the financial crisis and a correlation overlap with the corporate profit cycle that has likely approached a secular extreme. 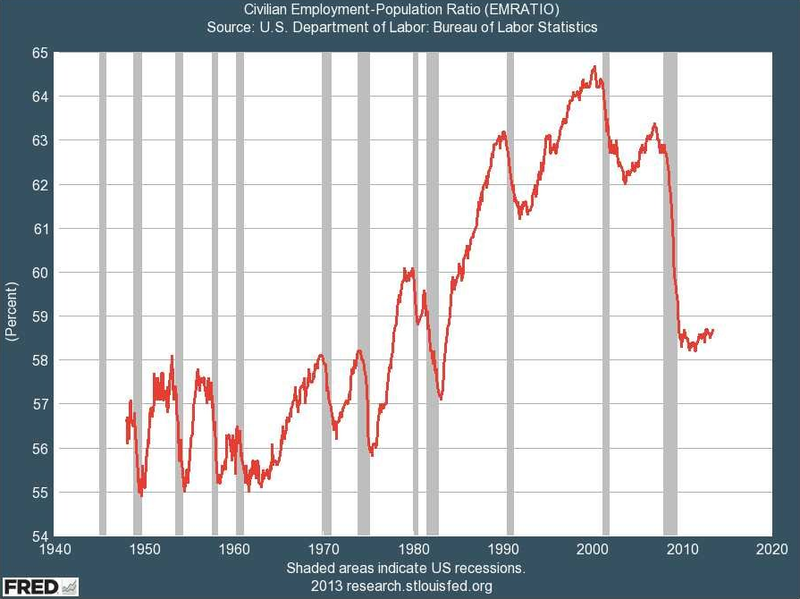 The long and short of things: you can only squeeze a business and work force so tight before there's diminishing returns. Corporations are likely at or beyond that point with respect towards both hiring, productivity and corporate profits. 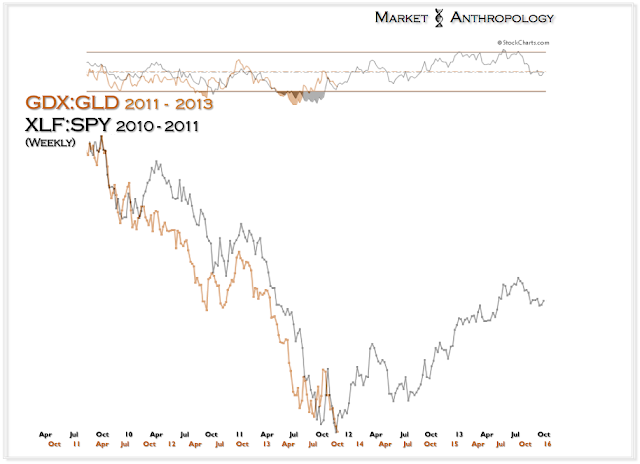 Net/net, this is a good thing downstream with respect to the economy, future growth and rising inflation expectations. 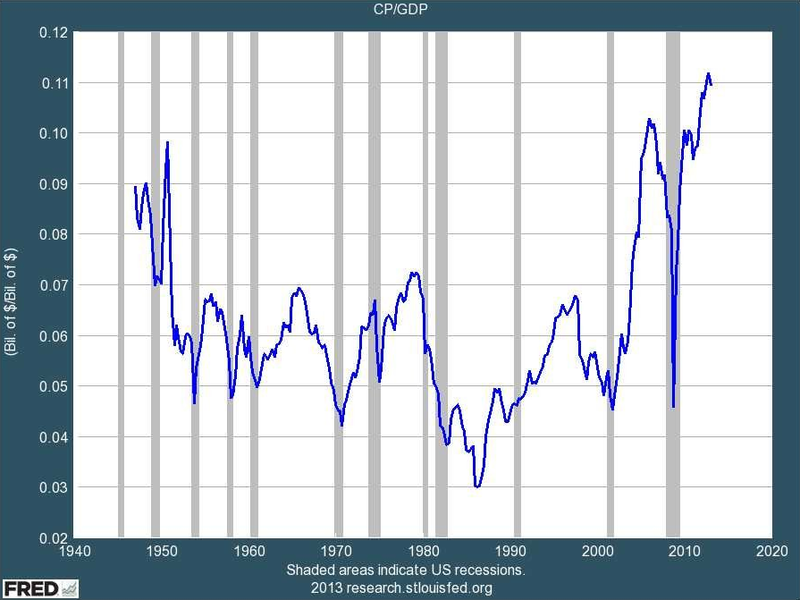 While over the short term it will inevitably negatively effect corporate profit margins, longer-term it's a critical shift - and one that we view as quite healthy. We know the Fed has different tools, such as paying interest on reserves to mitigate inflationary pressures from the banks when the economy starts building steam. 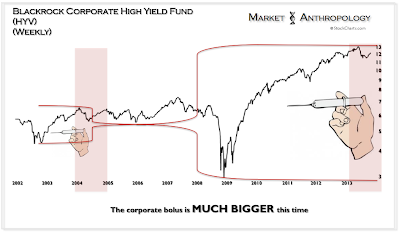 With that said, we feel corporations have largely been the biggest benefactor of the Fed's easing cycle this time around (see Contributing Forces) and have considerable inflation potential themselves across the economy from where they sit. The Fed needs to walk a fine line, with respect to helping businesses overcome the psychological thresholds to investing that capital in the economy, while not upsetting the apple-cart altogether. The markets first reaction with the concept of the taper is an example of this difficult dynamic for the Fed to walk. Consider us cautiously optimistic, but recognizing the difficult task at hand. 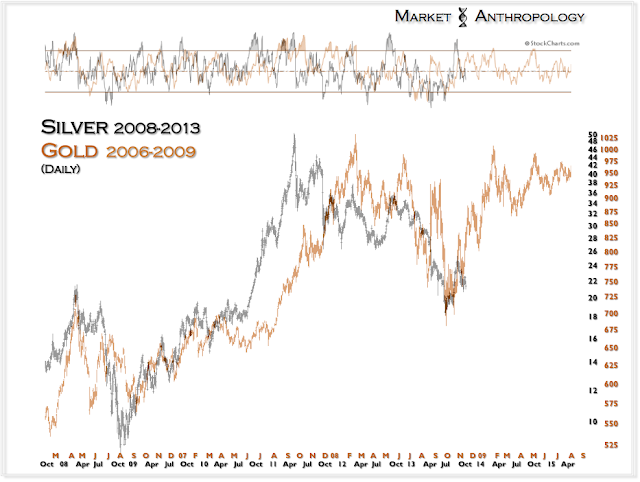 With our recent focus on inflation, we updated our long-term construct that utilizes the silver:gold ratio. 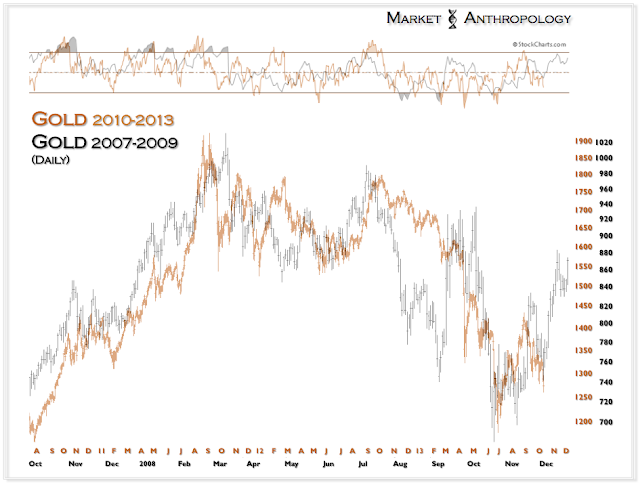 Last year at this time we were uneasy with the specter of deflation as the dollar appeared poised to rally and the commodity sector set to unwind. 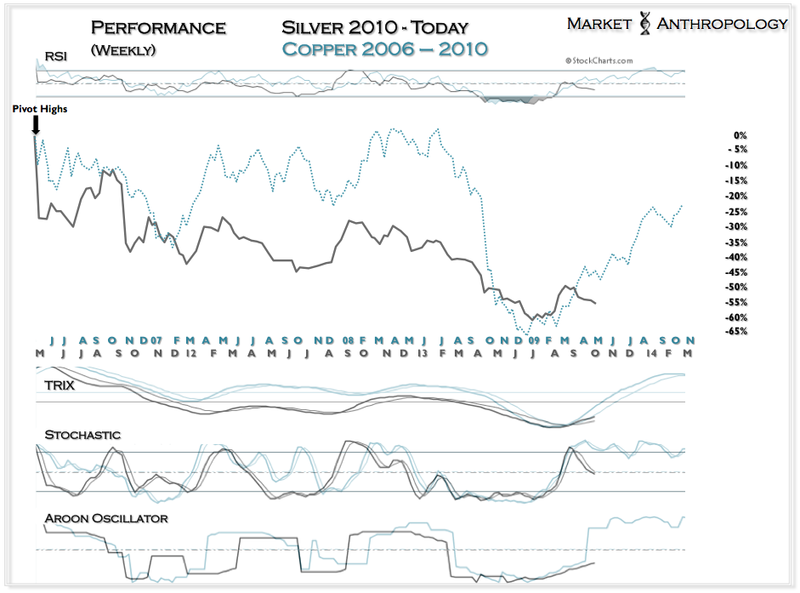 Our expectations today - as well as the relative standing of the precious metals sector are very much the opposite. The dollar has made a round trip to where it sat last October, and from our perspective is positioned to fall through the lower register of its long-term range this time around. 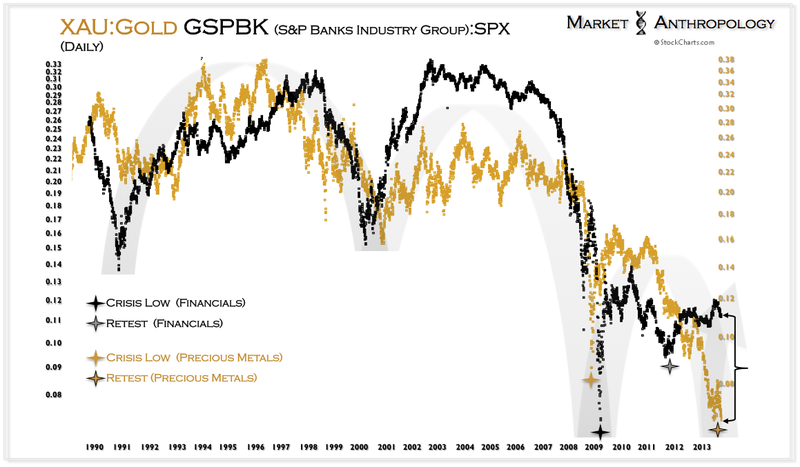 We continue to use the financial sector as a leading proxy and contrasting blueprint for the precious metals sector that should find a prevailing tailwind with rising inflation expectations. 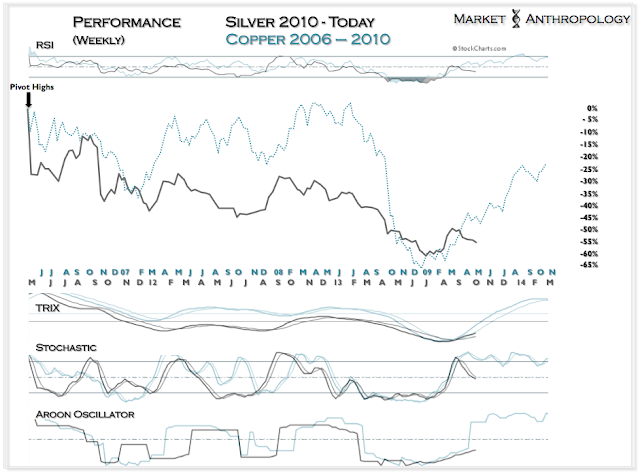 From a contrarian perspective, we feel the leveraged potential and relative performance of the precious metals miners are akin to banking stocks in Q4 of 2011. Our general impression from a comparative viewpoint is that Newmont Mining is to Bank of America - as Goldcorp is to Citigroup back then. 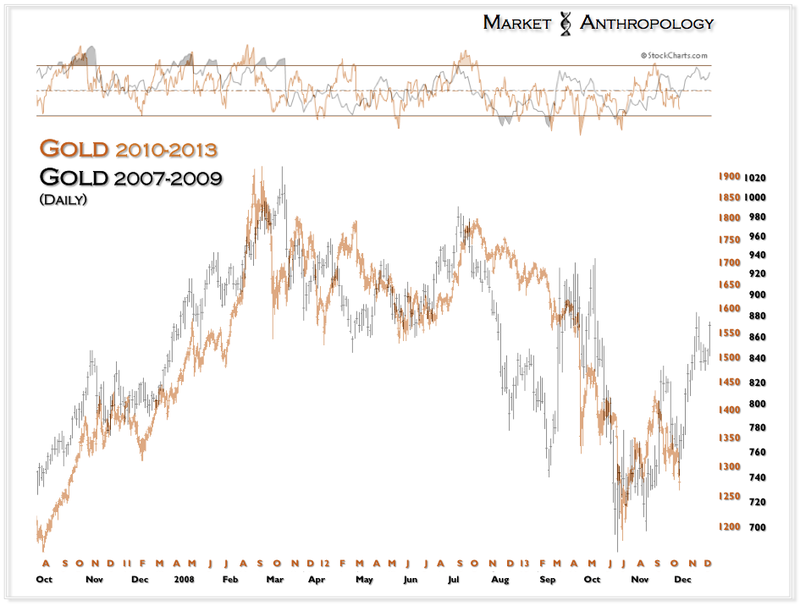 Notwithstanding of our comparative thesis with the banking sector in 2011 and 2009, we feel that a position in precious metals are at the very least an asymmetric hedge on holding equity positions as the market transitions to higher growth and inflation and inevitably less accommodation from the Fed. 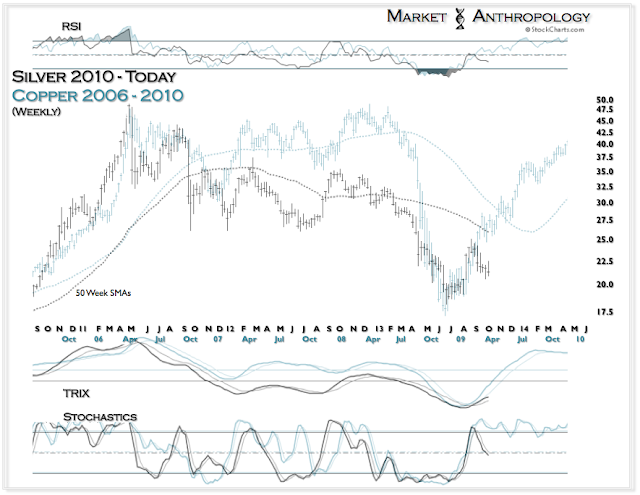 Similar logic was also applied this summer when we began to prefer equity markets ex-US, such as China, emerging markets and European equity indexes like Spain's IBEX. We have previously described the mirrored paths that equities and the precious metals sector have taken since Q3 2011. While over the short-term these relationships may continue, this inverse correlation is likely at or near an extreme and should begin to diminish as we work into 2014. While many choose to find a position in precious metals and bullish long-term outlook on the economy mutually exclusive - we do not. For now, we see rising inflation expectations lifting most boats - some more than others.